Men and women in the military lead busy lives — to say the least. Not only are they fighting for our country and our freedom, but they can also be away from family, friends, and their homes for months or sometimes years at a time. They make a lot of sacrifices, which means their dating lives can suffer. The good news is there are dating websites out there specifically for them. 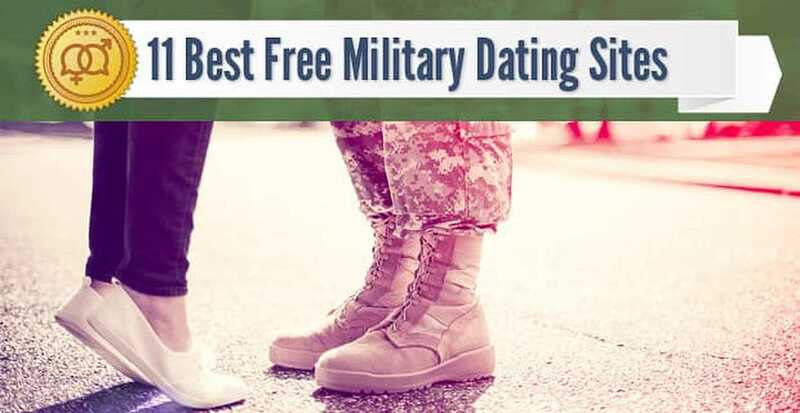 We scoured the web and found the 11 Best Free Military Dating Websites for singles in the Marines, Navy, Army, Air Force, Coast Guard, or any other branch of service. Take a look! It’s true — Match.com isn’t just for singles in the military or those who want to date them, but it’s still one of your best options (if not the best option). The site has more than 30 million members and counting — as more than 13.5 million visitors come to Match every month. And with numerous advanced search filters, Match allows you to get super specific about your wants and needs, including profession, lifestyle, and income. Elite Singles has some of the highest-quality singles you’ll ever meet, and that’s because the site focuses heavily on the education level of those singles. Over 80% of its users have earned a bachelor’s, associate’s, master’s, or doctorate degree (or even a combination of the four), and a significant number are or have served in the armed forces. Take the site’s in-depth matching test, select your criteria, and watch the compatible matches come flying in! MilitaryFriends wants you to “feel safe in the arms of a military man,” and they’re here to help you find that man. Founded more than 16 years ago and with thousands of like-minded users, this is one of the first and best military dating sites. Free features include registration, browsing, and communication — as well as forums, videos, military news, and fun date ideas. In terms of dating sites for military men and women, Military Singles Connection is always a part of the mix. Since 2002, they’ve been responsible for more than 1,000 successful, life-long matches and even more general romantic connections. You can sign up, upload your info, search through profiles and photos of singles in your area, and initiate contact — all for free. While free military dating sites do lack a price tag, some of them can often lack quality as well, but not U.S. Military Singles. Whether you’re looking for friendship, casual dates, a serious relationship, or marriage, all of the necessary features come at no cost and the platform will match you with someone who understands, appreciates, and enjoys this lifestyle. Military Friends Date is among our favorite military dating sites for civilians and armed service professionals for many reasons. In particular, though, it’s totally free to do everything, including to send and receive messages. The user base is very targeted as well, with the largest concentration of members being on bases like Fort Hood, Camp Lejeune, and Norfolk. Not only are the members of Army Dating Service fighting for our country (or formerly fought for our country), but they’re also intelligent, caring, funny, adventurous, and beautiful and handsome. A basic account on this top military dating site gives you access to things such as different search functionalities and flirty tools. Soldier Match is a dating site for military singles and their admirers, and you only have to give them four pieces of information to get started: 1) Your gender. 2) Whether you’re looking for a man or woman. 3) Your city or zip code. 4) Your date of birth. Then all the power is in your hands — feel free to browse for matches on your own, but don’t forget to check out the suggestions you receive from the site. BlackMilitaryDating caters to black and biracial singles, bringing them together with people who’ve had similar life and cultural experiences and who hold similar values and beliefs dear to their hearts. No matter what your needs are (hookups, romance, love, etc. ), you can rest assured that this online dating service will be able to meet them. In addition to helping those in the military and “those who like them” find their ideal partner, UniformDating is also dedicated to single police officers, firemen, doctors, and others in uniform, as the name suggests. It’s 100% free to join, view profiles, and flirt, and you have more than 135,000 users with whom to do so. You’re Serving Us — Now Let These Dating Sites Serve You! While life on duty can be tiring, difficult, and lonely for single military personnel, and even those who are married, it doesn’t have to be all the time. These online military dating websites are here to make sure of that. Good luck on your dating journey, and thank you for your service!